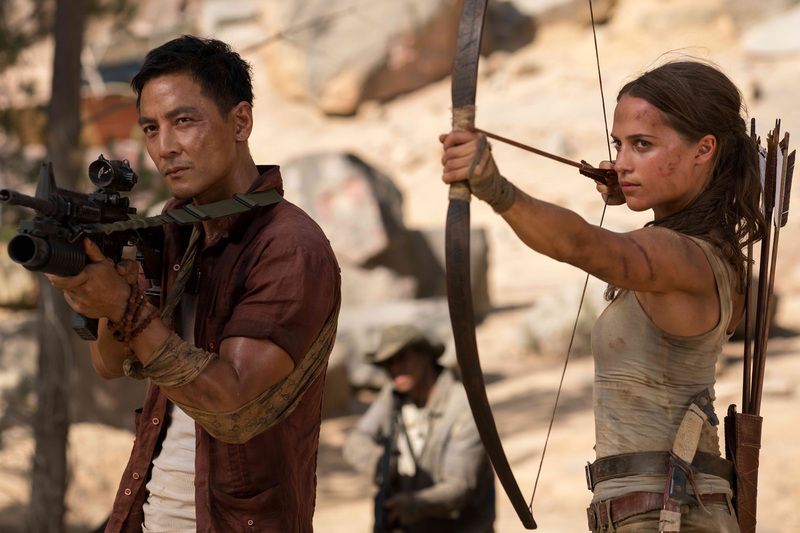 Is Alicia Vikander worthy of Angelina Jolie’s throne as Lara Croft aka Tomb Raider? Find out in thefanboyseo.com’s Tomb Raider review. So its a reboot and a video game movie that opens this March and I have to say that I liked Tomb Raider. I’m not really sure if it was the way they put together the adventure film or if it was Academy Award winner Alicia Vikander. But as a gaming fanboy, I liked it. Visuals are nice especially that scene where she crosses that derelict plane to save herself. Oh and its also lifted almost scene for scene from the rebooted game; whether that’s a good thing or a bad thing is totally up to you, so go see Tomb Raider when it opens. I haven’t heard any backlash about the film, maybe because I saw the movie early. But I can’t stress enough how good the movie was even if its relegated to “popcorn muncher”. But from where I’m standing, characterization is weak plus there are tons of plot holes in the movie that either gets swept under the rug quietly or completely ignored. The only other gripe here is how the supporting characters were used in Daniel Wu’s Lu Ren takes a painful backseat to her shenanigans. Alicia Vikander‘s role here is somewhat in between dry to great. Visually, her lean looks deliver a different Lara while at the same time, she just sticks out oddly in some scenes and with some dialogues. Hats off though for great physical acting. Every twisted muscle or strained movement, Vikander’s managed to make us feel for her, to emphathize with her pain. If you’re a fan of the Tomb Raider games regardless if it was the bad ones or the really good ones, I have to say for this Tomb Raider review that it had small problems being its formulaic in nature. Lasskicking girl gets thrust in a dangerous situation, escapes, tries to foil evil plan and get some measure of closure. But I won’t blame the studio or the filmmakers, this is something that’s become almost a curse for video game movies. Putting how I like the visuals and the audio atmosphere. Great sound design and visual effects especially towards the climax and bits and pieces all throughout the first and second act. In fact there were some scenes that would actually fit perfectly into the game. Would I want a sequel? Yes, I would love to see a Tomb Raider 2 still with Vikander. It would be cool to see her with new material to work with, probably new locales to traverse and explore and escape.